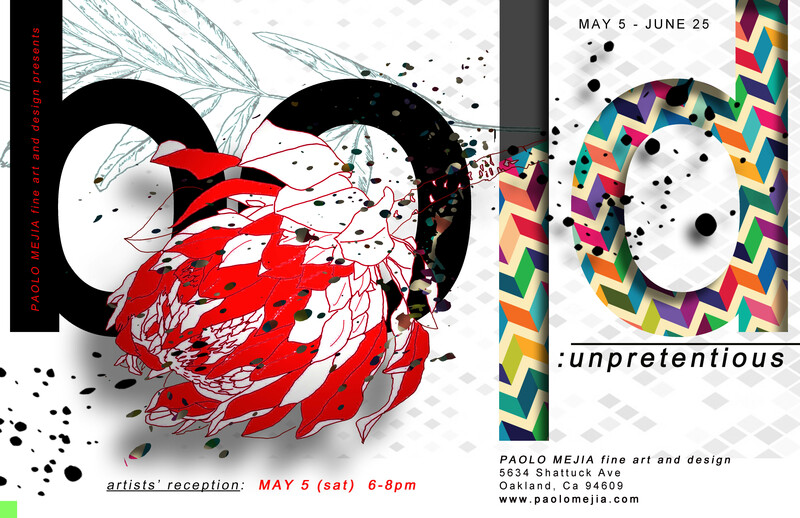 We at the Paolo Mejia Fine Art and Design cordially invites everyone to attend our group art show entitled “BOLD: Unpretentious” this coming May at our main facility in Oakland. We will be exhibiting another great collection of work by artists locally, nationally to internationally. In this show, we will explore the boldness of their visual creativity whether using the medium as its main tool of exploration, dabbling with striking colors to capture visual connection, selecting captivating composition to bring interest, or repeating patterns to create illusion. These ideas and concepts that our guest artists are exploring will be showcased at our main facility in Oakland. Come pass by this May to see our group show, meet and greet artists, and purchase a piece, or two, to diversify your collection.